Game and Watch games are old. Really old. In fact they were made on LCD handhelds in 1980. In 1995 Nintendo decided to make a port with a few Game and Watch games in it known as Game and Watch Gallery for the Gameboy. 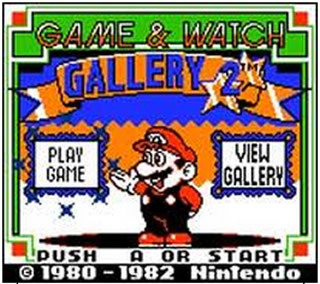 Game and Watch Gallery was a very popular game which sold a lot of copies and was a very successful game. In 1997 Nintendo released the second installment. It had a few more options than the first first game including a *Music Room, Museum, and unlockable secrets. G and W 2 has 6 games: Parachute, Helmet, Chef, Vermin, Donkey Kong, and Ball. The goal in each is to get as many stars as you can. For each interval of 200 points, you earn a star. Each Game and Watch game is different in the goal of scoring more points. Each Game and Watch Gallery game has 2 ways to play each game and two difficulties. Each game has a Modern option or a Classic option. Classic is the classic LCD Game and Watch we all know so well. Modern is always in 8-bit and has different characters from the Mario series that you play as. Game and Watch Gallery 2 and all of the other Game and Watch games usually have one thing in common. The classic games are WAY to hard to get a higher score on or you need to spend hours trying. Some of the modern games also start out REALLY slow. 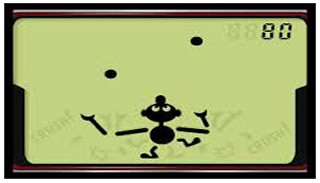 Game and Watch Gallery 2 is a fun game that anyone can play. The soundtrack is very well done, it is addicting once you get into it, and the game is still tons of fun even though to todays standards the graphics aren’t great.